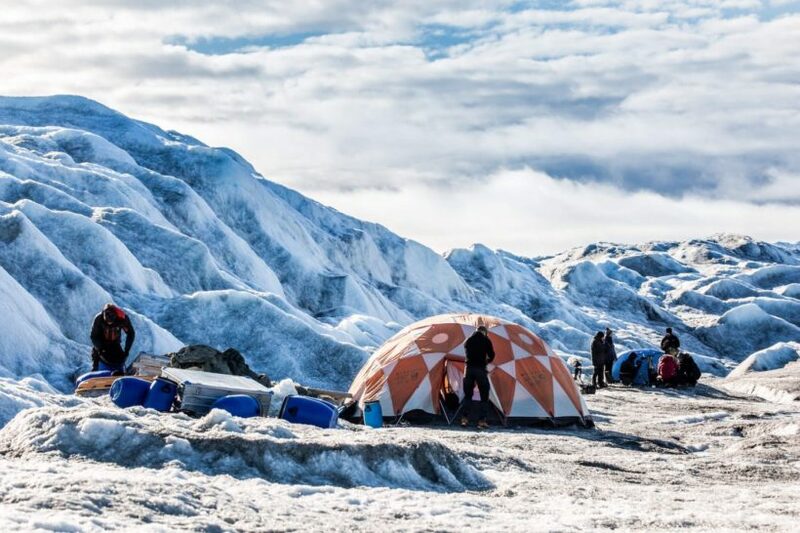 The Greenland Ice Sheet is a sought-after spot for travelers in search of unmistakable Arctic adventure. A study found that more ice formed in the Arctic in 2017 than in all but four of the last 37 years, challenging the media narrative that the earth is warming and seas are rising because of manmade activity. Instead of reporting this study, media outlets focused on another report that [supported its] narrative. The Polar Portal, which publishes climate research from the Danish Meteorological Institute, the Geological Survey of Denmark and Greenland and the National Space Institute, and is funded by the Danish Cooperation for Environment in the Arctic, according to its website, published its annual surface mass budget summary in September. The report looks at how much ice Arctic glaciers gain compared with how much ice they lose from warmer temperatures, a difference referred to by scientists as the Surface Mass Budget. This year’s report found that the amount of ice on the Greenland ice sheet in 2017 was “the fifth highest out of the 37-year record.” The highest on record, according to Polar Portal, was between 1995 and 1996. The lowest amount of ice on record was between 2011 and 2012. “This year, we estimate the total mass budget to be close to zero and possibly even positive,” the summary on Polar Portal read. “Greenland on average loses around 500 Gt of ice each year from calving and submarine melt processes. If we subtract this from our figure of 544 Gt [Gross tonnage] for the SMB it would suggest Greenland gained a small amount of ice this year. “However, compared to the approximately 3600 Gt of ice, corresponding to 1cm of global average sea level rise that Greenland has lost since 2002, this year’s slightly positive balance does not add much extra,” it said. But instead of reporting on these facts, (media reports) instead covered other recent studies that focused on massive chunks of ice breaking away from glaciers at the opposite tip of the globe. Mooney’s Washington Post article was published 13 days after the Polar Portal summary, but his report did not acknowledge that in other parts of the world, there is more ice. Similarly, Quartz environment report Zoe Schlanger wrote an article published on Sept. 27, two weeks after the Polar Portal summary’s publication, which focused on the size of the Antarctic glacier that broke off into the ocean. Like the Washington Post piece, Quartz failed to report the Polar Portal summary that reported more ice on the Greenland ice glacier. To the Quartz author’s credit, though, the report did cite a Verge article, which stated that the broken glacier would not cause a rise in sea levels, likening the effect to how an ice cube in a glass of water does not raise the water level in the glass after it melts. “Yes and no. While iceberg formation is a natural process — thousands break off each year — the warming waters in Antarctica are cause for concern,” Rice wrote. Citing British Antarctic researcher Adrian Luckman, Rice added, “the most recent iceberg is a part of an ongoing retreat of the glacier resulting from warmer ocean waters eroding the base of the floating ice tongue.” Again, nowhere did Rice or USA Today cover the Polar Portal summary finding that, in the Arctic, the amount of new ice that formed in that part of the world in 2017 was the fifth-most to form a single year since the early 1980s. 1. What type of bias does this post illustrate? 2. Why do you think The Washington Post, Quartz and USA Today reporters ignored the Polar Portal’s climate research study on Arctic glaciers? 3. If the Polar Portal’s research showed the opposite, do you think the reporters would have cited the study? 1. Bias by omission and selection of sources.